Approximately 50% of male patients with chronic renal failure treated by hemodialysis complain of sexual dysfunction of some degree or another (1). While successful renal transplantation improves sexual performance of a large number of these patients, close to 30% continue to experience poor sexual function. 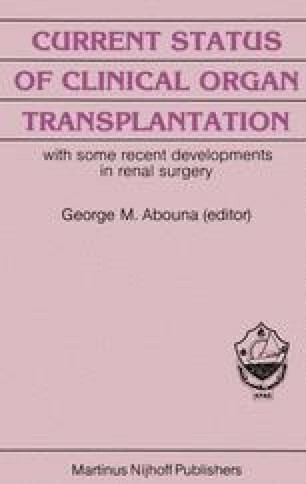 Further, and in the event a second contralateral transplant procedure is performed, the rate of impotence increaces once again to 50% or more (2). It is suggested that this increase might be due to vascular insufficiency resulting from ligation of both internal iliac arteries (3).